The German Hans Wilsdorf and his brother-in-law Alfred Davis, founded the company Wilsdorf & Davis, in London, England in 1905, specialising in the distribution of timepieces. In 1908, Wilsdorf registered the trademark ‘Rolex’ and in 1919 he would leave England again and move the company to Geneva, Switzerland, where it would eventually become Rolex SA. 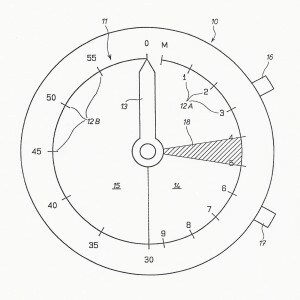 In 1985 Rolex had filed for a patent for a ‘Chronometer for starting races, particularly regattas’. 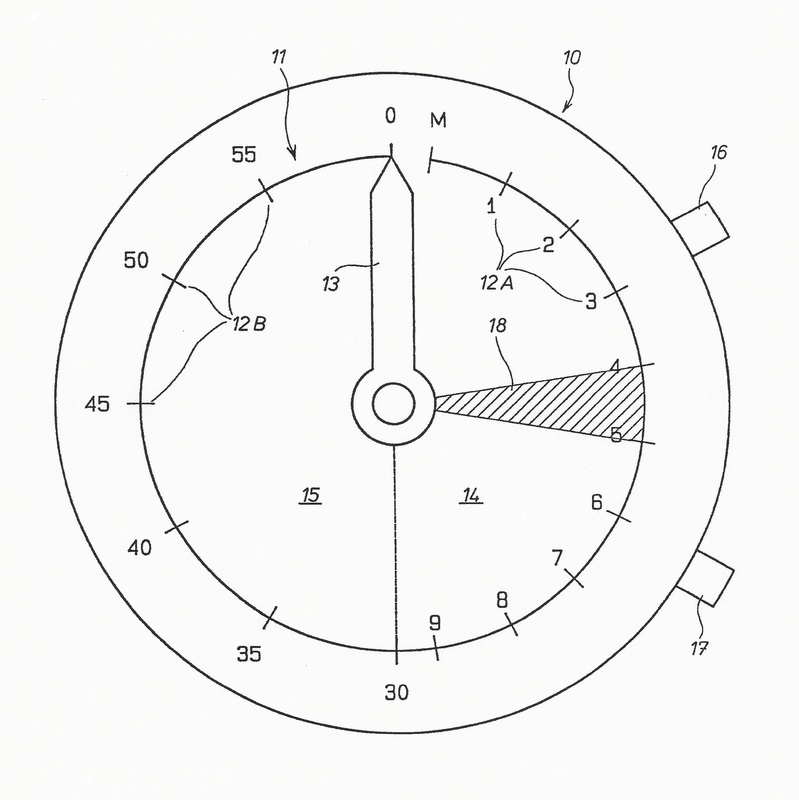 The single hand chronograph described has the dial divided in a first sector from 12 to 6 o’clock for the first 9,5 minutes of the countdown, and a second sector from 6 to 12 o’clock for the final 30 seconds. Thus the hand would move at a low speed first, to change to a higher speed during the last half minute. 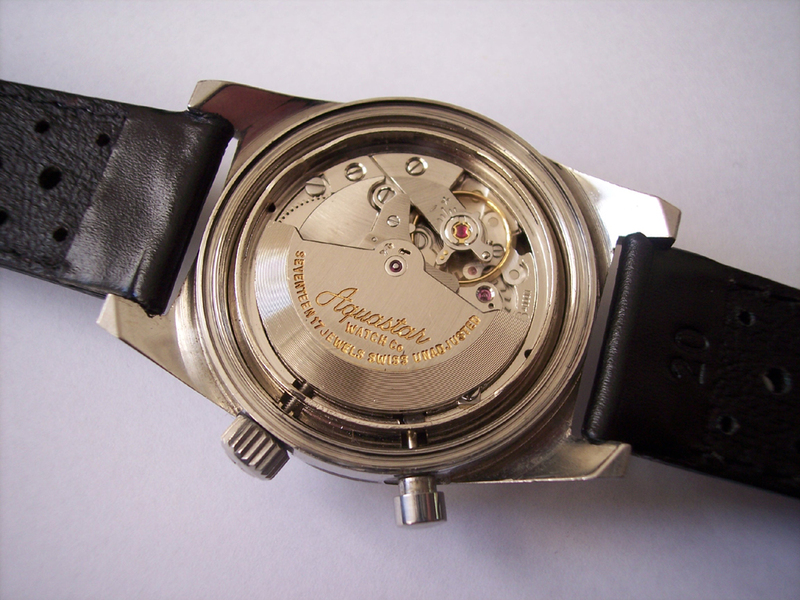 In the specification of the design for this race-starting chronometer, an electronic movement shall be used. You can download the Swiss version of the patent CH662237A as PDF here. 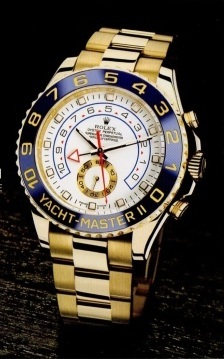 As far as I know this design by Rolex has never been translated into a real working version. But please correct me if I’m wrong! After the succesful introduction of the Yacht-Master series in 1992, Rolex unveiled their new Yacht-Master II in 2007. This regatta chronograph is equipped with their new manufacture caliber 4160, and is the first watch in the world equipped with a programmable countdown function from 1 to 10 minutes with a mechanical memory. At first introduced in 2010 the watch was sold in Yellow Gold (116688) or in White Gold (116689). One year later in 2011, a new model in steel and everose Gold (116681) was introduced. All models have a COSC chronometer certification. 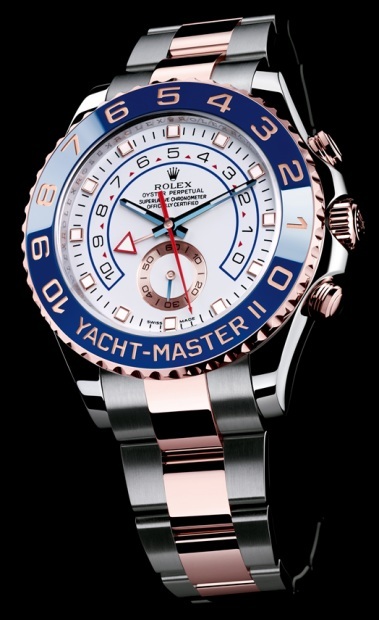 Rolex Yacht-Master II in 18 kt yellow gold, white gold-platinum and steel-rosegold. 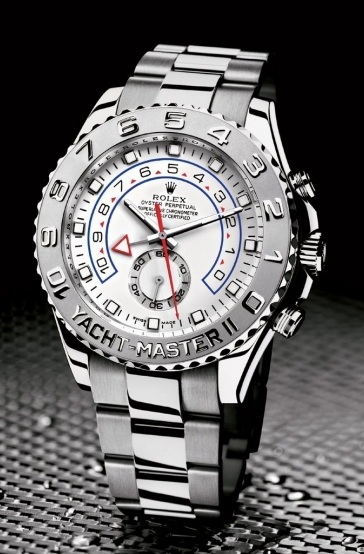 Model: Rolex Oyster Perpetual Yacht-Master II Regatta Chronograph. Reference: 116688 case and bracelet of 18 kt yellow gold. 116689 case and bracelet of white gold and platinum..
116681 case and bracelet of 18 kt rose gold / steel, since 2011. 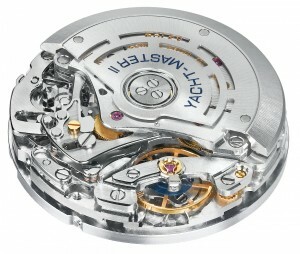 Caliber: automatic Rolex caliber 4160. There is a lot of promotion material for the Rolex watches available. You can download an E-brochure by clicking here, and another one here. 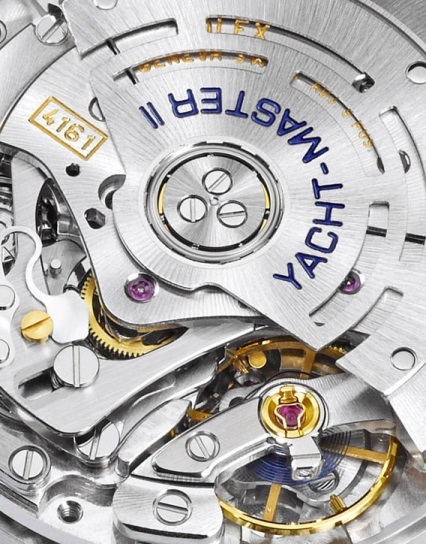 Instructions for using and programming the countdown of the Rolex Yacht-Master II. If you want to read the entire manual, you can download a PDF version of it here. 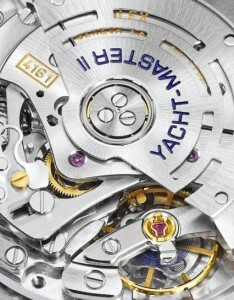 Type: automatic movement with yachttimer function. 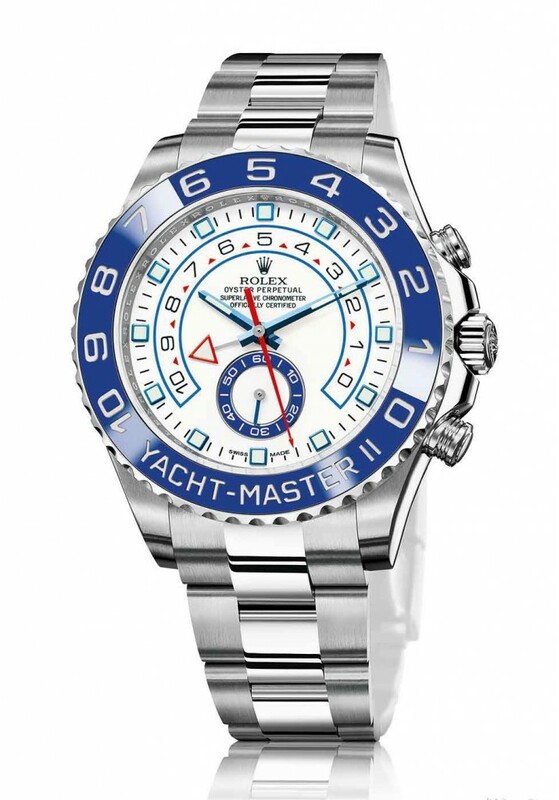 In 2013 a 4th more affordable version in steel, reference 116680 (case and bracelet in stainless steel and blue cerachrom bezel), is added to the Yacht-Master II series. The movement changed from caliber 4160 to caliber 4161. Besides some minor changes this is probably just for marketing reasons.